VIKTOR KORCHNOI: SOMETIMES IT IS HELPFUL TO SUFFER! 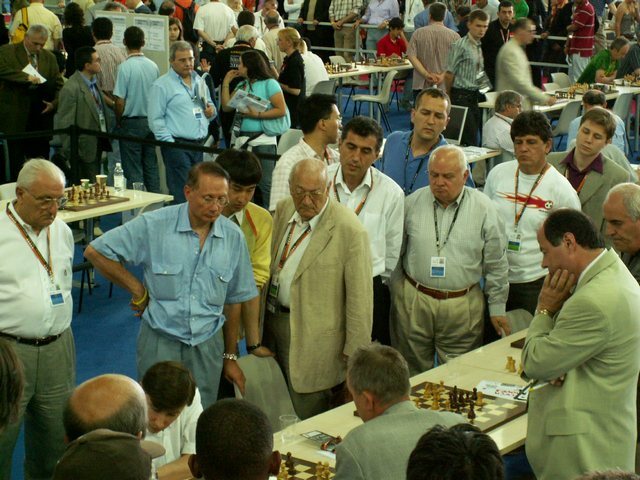 14.07.2006 VIKTOR KORCHNOI: SOMETIMES IT IS HELPFUL TO SUFFER! – Viktor Lvovich, do you keep count of your participations in the World Chess Olympiads? – It seems that this Olympiad in Turin was the sixteenth. I played for USSR national team in 1960, 1966, 1968, 1970, 1972 and 1974. All in all, six Olympiads for USSR and ten Olympiads for Switzerland. – This tournament looks like to be unusual for you, doesn’t it? Is there anything special in it? – Nothing in particular. There are different competitions of sports societies, European team championship and European club championship, etc. The Olympiad is one of the team competitions. In this case, both personal and team results are important. – I noticed that you often came to the tables of Russian team. Did you root for Russians or did you only watch the games? – In general, Switzerland played apart from the strongest teams and few games were published in the bulletin. It was interesting for me to see how strong chessplayers struggled. Probably, I would like to take over some opening ideas. That’s why I was interested in the games of Russia, Ukraine and other teams. – Are you surprised at the poor results of Russian national team in the latest years? – It should be remembered that Soviet chess society suffered indeed. Probably, Russia suffered most of all. How many chessplayers removed to the other countries! Dozens, hundreds! It is not surprising that “the second team of Moscow” from Tel-Aviv and “the third team of Moscow” from New York scarcely play worse than the first team of Moscow. Fortunately, now it is possible to notice that serious financial contributions have been put up to the Russian chess lately due to the fact that the president of Russian Chess Federation is an outstanding figure in the government. However, I remember how Soviet chessplayers had hard times indeed. I mean not only top-level grandmasters. When one doesn’t put up money to the everyday development of chess then it is natural that one can hardly expect regular successes after 5-10 years. In other words, the lack of money ten years ago must become apparent right now. On the contrary, I was surprised to see that Russian team really played with confidence. – If you please, I am not disposed to criticize Bach (the chief executive of RCF was the head of Russian delegation in Turin) for settling the team of Russia in the hotel. We lived in swinish conditions as almost all teams except several elite teams. Of course, Russia was among these elite teams. But in this case, it is possible to say that these swinish conditions helped our team to develop the competitive spirit. Those who lived well in the hotel played worse for the same reason! It is joke but there is something serious in it. We were settled in the Olympic village. There were no telephone, TV set, curtains, table in the rooms. We have only one chair and one cupboard. Incredibleconditions! It is possible to compare them with the student dormitory. It is not improbable that the conditions in the student dormitory are even better. We also had to overcome the kilometers of road under the scorching sun in order to reach the destination point. Perhaps, then people played better from malice?! Russian chessplayers lived in hotel thanks to Bach’s care. They had their own buses and they had not to suffer. Well, it turns out that sometimes it is really helpful to suffer! – Did you feel the competitive spirit when you played for the USSR national team? – At that time, the team’s competitive spirit was kept up in every way. When we went at the tournament from Moscow, one told us: “Come on, come on!” It is easier to fell the competitive spirit in a totalitarian country. If you wish, the failure of Russian team seems to be some kind of the evidence of the democratization of the country. – What did it mean for Soviet chessplayers to be the members of USSR national team? What was more important: the professional prestige or the earnings? Were you the patriots of your country? – As I write in my book “Chess without mercy”, every member of our team got money, that were equal to eleven month’s salary, for the victory of the Olympiad. The patriotism was roused indeed. If you had played badly one would have began to use sanctions. One could find a guilty chessplayer and expel him out of the team for several years. It is quite difficult to define the main factor. To tell the truth, I don’t know if it was a real patriotism or a fear of suffering because of the authorities. – One considers that difficult relationships between Russian chessplayers and our trainer Sergey Dolmatov seemed to be one of the main reasons of the failure. What was the role of the trainer and the captain in Soviet times? For example, who decided which chessplayers would play in the next match? – It seems to me that Russian chessplayers accepted Dolmatov as the team’s captain. Generally speaking, if there are bad relationships between the members of the team, it is a very serious problem. It can really influence on the quality of the team’s game and on the concrete people who don’t get on with each other. To my mind, the captain always played for the team in our times. The trainers were important but one can hardly see them. For example, some person worked with two chessplayers, helped them with the openings. I couldn’t say either that the trainer had a decisive vote during the team’s meetings. I also remember that there was the head of our delegation! That person was even stronger than the captain! It is possible that he didn’t play chess well but he spoke with the chessplayers, the captain or the trainer before the games. The head of delegation had a clear idea of the state of affairs. His opinion was really important! You have asked me how one chose the chessplayers who would play in the next round. One tried everyone to play the same number of games and to have white and black games equally. The captain and the head of the delegation looked after it. To my mind, this principle has never been broken. – This question was submitted to a team’s meeting and you took decision collectively, didn’t you? – Yeah. The captain and the head of our delegation suggested something and it was being discussed. One couldn’t say that their suggestions were always accepted unanimously. The chessplayers discussed them and they could be changed. – In other words, you managed to agree, didn’t you? It is no secrete that some members of the team often had bad relationships with each other. – Of course, it is not a secrete… We began to speak about the team’s competitive spirit. It was either on the basis of patriotism or on the basis of fear of sanctions. Nevertheless the team spirit existed indeed! We wished our team to achieve a success! – Did one forget about the conflicts during the Olympiad? Did people support each other? – No, that beats everything! (laughing). However, first of all we rooted for our team. – Did you feel a malicious joy because of your fellow’s defeat? – Sometimes we felt it! But the feeling of teamwork dominated indeed! – I see! 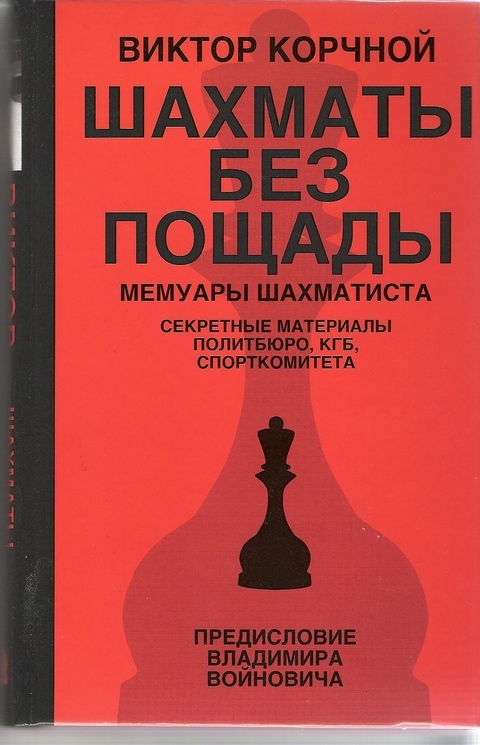 Viktor Lvovich, you scarified many characters of your book “Chess without mercy”. Alexander Grigorievich Bach seems to be one of a little group of people that you didn’t criticize. You even praised him. What is your opinion about this person? – I think that Bach is an intelligent and practical person. Moreover, he seems to be a man of principle. I don’t share all his principles but the fact is that I think higher of a man of principle than of a man without principles. But probably, now people without principles turn out to be even more practical than people of principle. – Can Russian chessplayers become the leaders of the world chess again? – Who are the rivals of Russia now? The main opponents are the parts of the former Soviet Union. Armenia won the men’s section of the Olympiad and Ukraine took the first place in the women’s one. Russia made a lot for the development of chess all over the world and all over the Soviet Union. We must not forget it. You want Russia to return to the leading positions. I understand your wish. Let me repeat: Russia lost hundreds of its chessplayers who removed to the other countries. So it is necessary to look for new ways of developing the young generation. I wouldn’t like to concentrate attention on the fact that Russian chessplayers played poorly. How many successful competitions were there during the latest years? – Last year our team won the World team championship in Beer Sheva. Well, we haven’t won anything besides for a long time. – Yeah, Russia won it in the throes! So it is necessary to develop young generation. I have mentioned that there was a period of 5-10 years when there was no any development of chess in Russia. Well, now it is necessary to start everything again. – Viktor Lvovich, have you read the articles about the results of the Olympiad on Russian websites? – Bareev sharply criticized Dolmatov, Kramnik slightly reproved and slightly praised everyone and other members of the team keep silence. Do you remember what was the ratio of those who spoke and those who kept silence in Soviet times? – The heads were the only who spoke in Soviet times. The others were silent. Therefore it is better not to compare the present and the past. You say that two of six chessplayers have expressed their opinions. Unfortunately, I haven’t read these articles. If people think that they played badly, for what will they castigate themselves on different websites? – Bareev said that he had applied for Bach just after the tournament in Beer Sheva. He made a request to change Dolmatov on the post of the team’s head coach. Bach didn’t pay attention to it. Dolmatov stated that if he had known about Bareev’s application he wouldn’t have taken him in Turin. – Haha! I beg your pardon. Dolmatov had to say that if he had known about Bareev’s opinion, he would have retired himself. When one chessplayer of the team is displeased with the captain it is some kind of veto. I understand it in this way. If one member of the democratic team is displeased, then it is enough! – But there are no principles of the forming of national team in Russia. Dolmatov can say: “Why does Bareev play? There are many chessplayers who are not worse than Bareev. Let them play”. – But Bareev is a member of the team, isn’t he? – It is unclear who forms the national team of Russia. – Ha ha! What about the Coach’s Council? Does it exist? – It doesn’t have a right of the decisive vote. – Aha! Is that so? – It can be good or bad but it is absolutely clear how one form national team in USA: one takes six chessplayers who have the best rating for the fixed period of time. Then these chessplayers choose the captain. However, it is really impossible to understand anything in Russia. – Then write it without fail because it is necessary to put everything in order. – Do you think that the national team is more important? And it is necessary to create the way of the forming of the team, isn’t it? – Of course, it is. I would like to repeat that if the head coach (or the captain) chooses six chessplayers to play at the Olympiad, each of them must treat him kindly. This is how I understand it.